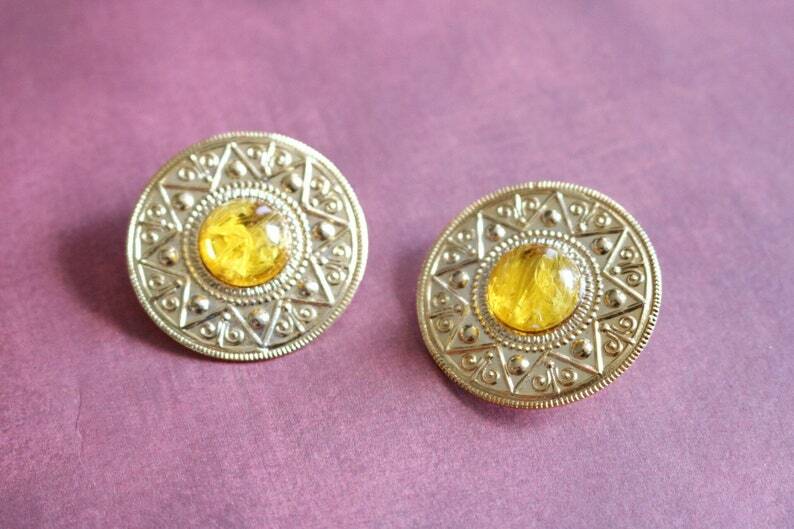 Sundial Statement Earrings are for the simple-chic. You don’t need a lot of noise to make a big impact. This is it! What you’ll love: the bright gold-tone metal plays vibrantly against the bright yellow gem in the middle. Though similar in tones, there’s still a beautifully bright contrast created that will catch the eye and give an elegant and sophisticated look.